The way of the world is wearying. As the Church Militant, we are soldiers battling our whole lives against the snares of evil and temptation and the war can seem never ending. If the Church is going to be victorious, however, we need to be reminded often of the convictions and strategies that urged us onto the battlefield in the first place. It’s one thing to fight hard – a whole new dimension comes into play when we also aim to fight smart. A good student knows that history often repeats itself. The Devil uses the same tactics over and over to tempt and destroy, such as appealing to fallen human qualities like selfishness, laziness, and narcissism. Rather than becoming discouraged at man’s tendency to fall for the same lies, the Church can instead take heart! The enemy’s plans have never been more obvious, and surely, his plans can be more easily recognized now. A wise soldier learns from his mistakes; because of history’s failures, Satan can no longer hide behind familiar lines. And it is much easier to do battle with a foe when you can see him. These culture wars have been decades in the making. The devil may not be creative, but he is certainly patient. Recent challenges to society, such as the gender identity crisis and an increase of mass school shootings, to name a few – these are caused by old wounds that we initially suffered when faith and family life ceased to be the foundations of most peoples’ lives. As the lack of respect for life and sacrificial love gave way to individualism and relativism, gaping holes were left for the enemy to fill on his own terms. Just as it took years for society to disintegrate as it has, it would be difficult for the true solution to take any less time to implement. Of course, all things are possible with God, but we must also be prepared to be in this for the long haul. A soldier without a cause is easily unmotivated and distracted. In our war, the Christian’s end game is this: conversion of hearts. This objective changes everything. If we are fighting for hearts and souls, then our tactics have to reflect this. Reforming laws and posting articles on social media is only a very small part of the effort. To bring about conversion, our primary directive must be to lead others to Christ. Pope Francis is an excellent example of this: by extending compassion and gentle correction, he emulates Jesus in the Gospels and invites open dialogue with tepid hearts. Our enemy expects us to be belligerent in our conviction, but our strategy must be passionate peace. It’s widely accepted in the sports world that the team with home field advantage will generally find it easier to be victorious. We have an obligation to remain vocal on the stages of the world, but it’s important to also remember that these battles we fight are not going to be won on the world’s terms. We must have presence, but also, avoid throwing all of our efforts behind grandiose political statements. If this is the only place we’re fighting, then we’re forgetting our home field advantage, where we rally strongest: the heavenly realm. You know the saying: “Pick the hill you die on”. So often, it is easy to become zealous for a few, if not many, worthy causes. However, not only is this ultimately ineffective, it’s also the best way to burn ourselves out, taking us completely out of the game. St. Paul tells us that the Body of Christ is made up of many parts. We are a people made up of many passions, fighting a war that has many causes – choose one! Spend your life conquering your hill and pray unceasingly for your brothers dying on the hills next to yours. Finally (and most importantly), making sure your soldiers are efficient and effective is common sense for any good general. We should always remember that prayer is our primary means of attack. It is easy for many of us who excel in outreach to forget that ultimately, it is the Holy Spirit that inspires radical change and only through petitioning Him can total conversion take place. The war that humankind has been embroiled in since the beginning will be hard-fought and hard-won. Our enemy is clever, but we are creative. The world plays by its own rules, but our battleground is heaven itself. And though the struggles are many, so are we. So, onward Christian soldiers, and take heart! Fight hard and fight smart, for victory is most assuredly ours! 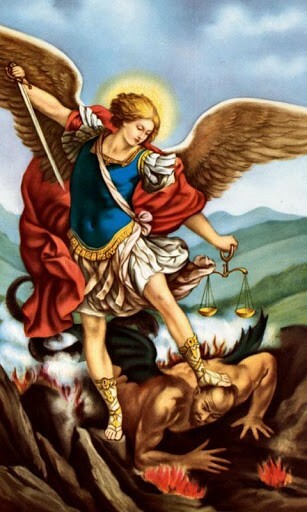 St. Michael, pray for us and defend us always! A lot can be said about “time”: that we don’t have enough of it, that it is often wasted, that it is a gift. Time is a funny thing. When you wish it would pass quickly, the minutes often drag. When you cling to special moments, they seem to be over too soon. 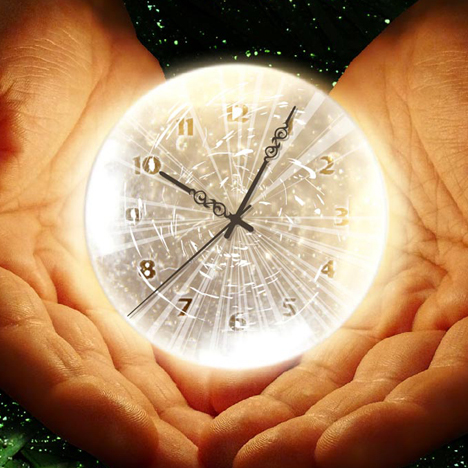 There is one truth about time, however, that seems to underscore them all: it goes on. Lately, I’ve been thinking a lot about “time” and about how its unstoppable nature is truly a mercy and a blessing. Since I was a teenager, one of the ways I would deal with unpleasant situations would be to think about where I would be 24 hours after the fact. Tough exam coming up? Good or bad, in 24 hours, I would be driving up to the cottage for a week with my family. Sitting down to a big project that doesn’t seem to have an end? Well, after that deadline passes in a week, I’ll probably be right back into the routine of daily life. What a blessing, that time goes on. Sometimes, I feel that it’s God’s gentle reminder that in the grand scheme of things, we really don’t hold supreme control and neither do the situations or people surrounding us. Tomorrow, we will all be in a different place than we are today. And to me, that is sanctifyingly comforting. God’s will for us is to keep moving forward. He does not want us to become stagnant or stunted. 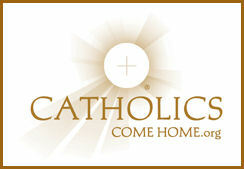 He wants us to grow – in holiness and in life – through experiences and relationships. All of this shapes us into the people we are and the people He means for us to become. In this desire for us, time is His tool. As we enter into these last lazy days of summer, I find myself simultaneously clinging to the slow days of fun and family (and warm weather! ), while also yearning for the excitement of the fall, when we embark on a new adventure as my oldest starts school! What a blessed relief that the pace is not up to me, for I would never be able to choose whether to stand still or move forward! We’re all in the same boat – progressing and growing and marching forward with the clock. It’s a reminder to us that we are temporary and fleeting, but the One in control is forever. It’s a reminder to savour the present. And, ultimately, it’s a reminder for us to contemplate often the inevitable end of time – and the glorious eternity with God that awaits us there. It is a hectic life that we lead. Work, school, family commitments, socializing… it’s a wonder any of us are still standing, dizzied as we are. And at the very bottom of our ever-growing list of priorities, is our need for rest. The Bible speaks a great deal about care for our physical bodies. 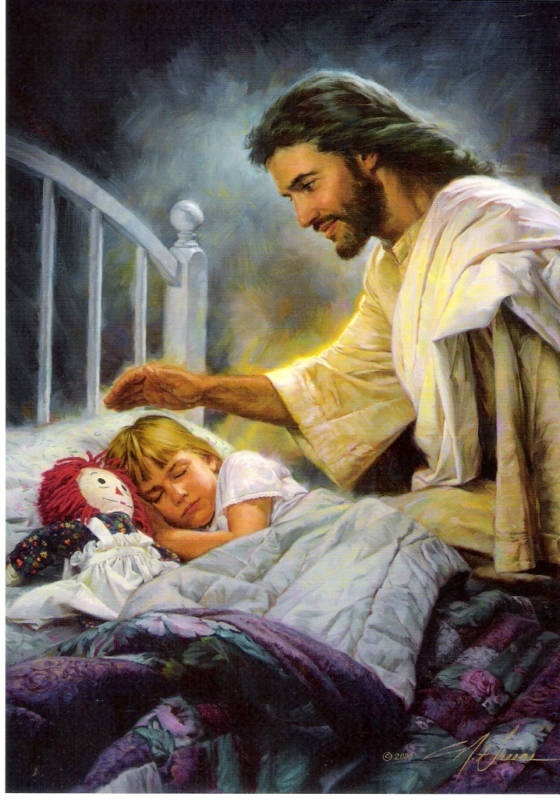 Jesus’ life, in particular, emphasizes the importance He placed on rest and sleep. 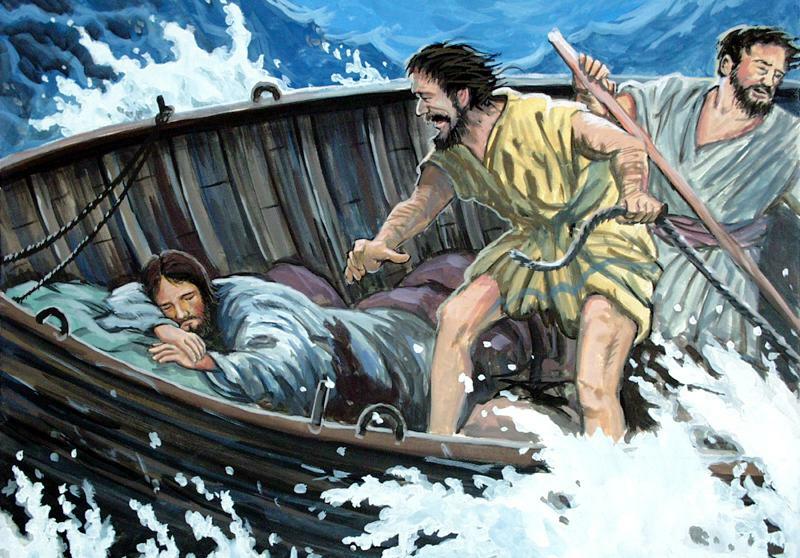 One would think that God incarnate would consider it unnecessary to take time to sleep and recharge, busy as He was fulfilling salvation history. Why would God model and encourage rest for us with such earnest? Truly, the Creator knows His creation. Medically, lack of sleep wreaks havoc on us. Short term, we can suffer decreased alertness, memory impairment and hindered fine motor skills. Not to mention overall grumpiness and irritability. In the long term, forgoing rest produces even more serious problems, like high blood pressure, obesity and possible psychiatric problems, such as depression. Spiritually, things also tend to take a turn for the worst when we struggle with getting enough rest. As a mother of young children, I can attest to those long nights of tending to little ones, and the lack of motivation, the diminishing patience and the lost inspiration for prayer that comes with the morning light. In fact, I’ve noticed a pattern of increased temptation and struggle for holiness during those periods of time where sleep eludes me. This made me wonder about the world at large. We live in a 24/7 society, where in most major cities, at least, you can go shopping for crayons and coffee at 3 a.m., if you so desired. There are cities that “never sleep”… and they’re proud of it. There is always noise, there is always money to be made or spent, there are always duties and responsibilities to fulfill. Stress and anxiety abound, with no seeming reprieve. And yet, have we ever considered what our insomnia is doing to us? If, as individuals, we suffer from poor judgement, increased temptation and a tendency to wander from holiness when we lack sleep, what is our obsession with universal wakefulness doing to our collective souls? Over the past few months alone, it seems that the faith has endured blow after blow – morality crumbling, hate increasing, spiritual apathy on the rise. It has become overwhelming and has created a downward spiral that no one seems sure how to even begin escaping from. No one, that is, except for the Spirit. We need to return to the Creator’s plan. Our Father would not ask of His children that which they could not give. So this incessant need to be awake and the guilt that wracks us each time we dare to rest – this cannot be of God, because even He slept. As hard as it is sometimes, we should be making time for God’s stillness. When possible, go on a retreat, visit the Adoration chapel often, put the phones down and go to bed a little bit earlier – for these are some of the ways that we are stilled. From that stillness we will emerge with wisdom. We will be fearless in our evangelism and tireless in our ministries. The Church will be fruitful, thriving and alive! And while the rest of the world stumbles along, exhausted, in its bleary-eyed haze, the Church, fully awake, will continue to fight on its behalf, as it has always done. But first, we must sleep.